The phrase “Year of the Woman” has been rolling off tongues of pundits and media types over the course of the midterm elections. We saw an increase in female candidates for public office—not just at the national level, where women sought US Senate and Congressional seats, but at the state levels, where gubernatorial and state legislative positions were contested, and down to the local levels, where municipal positions attracted more and more women candidates than ever before. And women won in record numbers. The celebrations continue, and much seems to be attributed to a “Blue Wave.” But some serious analysis by Deana Rohlinger, professor of sociology at Florida State University, opens the door to some other aspects of the women’s movement in politics. Dr. Rohlinger suggests that not all is blue, and that not all is liberal. She contends that the women’s movement is made up of more than just those women who would uphold reproductive rights, equal pay, and equal rights. And she points to three key areas to support this position. First, while more women vote than men, not all women are Democrats. If you look only at gender, you get a very different picture than if you start to disaggregate the data by race and ethnicity. Fifty-four percent of women identify as Democrats or lean Democrat, and only 38 percent of women identify as Republican or lean Republican. This thin margin among white women was clear in the 2016 presidential election: 45 percent of white women voted for Hillary Clinton and 47 percent voted for Donald Trump. Compare this to women of color: 98 percent of black women and 67 percent of Hispanic women voted for Clinton in the 2016 election. When women of color do not turn out in large numbers, the elections may turn out quite differently. Alabama and South Dakota both elected female governors. Both are Republicans. Both are staunch conservatives. If the voting data for each state were analyzed, it might show the power of the women’s vote, but not, perhaps the Blue Wave vote. The second point that Professor Rohlinger makes is that conservative women see themselves as a part of the women’s movement. If you poll the average “woman on the street” about who comprises the women’s movement, you most likely would get back a composite of a liberal-leaning feminist who supports abortion rights, equal rights, and other “leftist” causes. But experts who talked to Republican women found they, too, consider themselves part of the women’s movement…with a different set of values that they see as also widely shared. And they have built a political power base to support their positions and uphold those values. 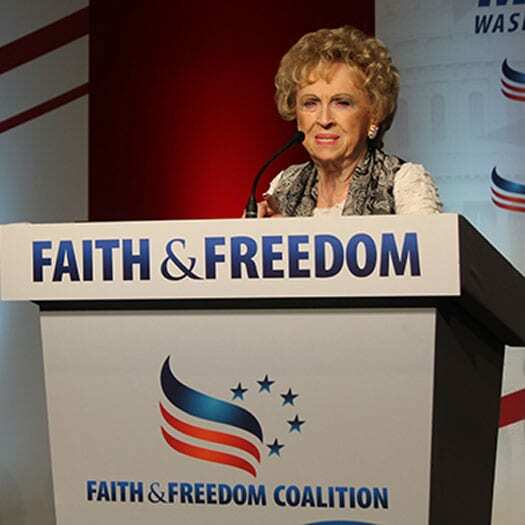 Concerned Women for America founder Beverly LaHaye, whose late husband was a politically prominent evangelical minister and conservative activist, saw her organization as a way to represent more traditional and religious values in the women’s movement. The organization pushed back against legal abortion, the Equal Rights Amendment, and infringements on religious expression such as restrictions on school prayer. Today, Concerned Women of America is a political powerhouse that mobilizes its half-million members to elect Republican candidates. Virtually every Republican running for the presidency since 1980 has stopped in at the organization’s annual convention in an effort to gain the group’s favor and conservative women’s votes. One might point to the power of groups such as Concerned Women for America for the successful election of Kay Ivey as Alabama’s second female governor (a Republican, of course). 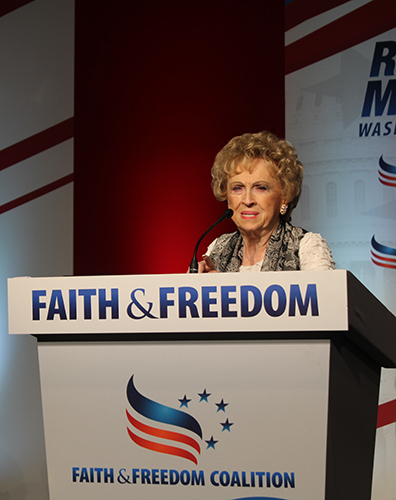 Ivey drew more than 60 percent of the vote and promised to stand for a socially conservative issues, including the sanctity of unborn life. This is not the same “women’s movement” that took to the streets after the election of Donald Trump in 2016. The third point Rohlinger makes is that there are clear variances in women’s power at the state level. She points to differences in gender norms in various states, particularly how many Southern states still view women in a “lesser” place than men. To demonstrate, Rohlinger compares the state elections in Nevada and South Carolina, where she looked at seven races with women running for office in each state. The two states’ rankings on women’s equality, reckoned by a personal finance website, are vastly different with Nevada ranking 4th and South Carolina 45th. And this seems to have played out in these elections as well. In Nevada, five women (both Democrats and Republicans) won their races, with one still too close to call. In South Carolina, only two won (both Republicans). According to the National Conference of State Legislatures, in 2016 Nevada’s state legislature was 30.2 percent female compared to South Carolina’s, which was 14.7 percent female. It seems to depend on where you live as much as what your politics are if you are a woman seeking political power.